Bob Crane: Life & Legacy: Rod Serling Hated 'Hogan's Heroes' — And That's Okay! Rod Serling Hated 'Hogan's Heroes' — And That's Okay! My mother hates Hogan's Heroes. Yes, that's right. The woman who gave birth to the author who would one day write and publish a 660-page tome about the show's star despises the series that gave the world Colonel Hogan and made Bob Crane an international celebrity. Yikes! My mom and I have a healthy, loving, mother-daughter relationship. She is the backbone of the entire family, and she supports my sister and me in all we do. She also likes Bob Crane as a radio personality and as an actor in general. And through the work of her rather determined and somewhat tenacious daughter, she has come to understand Bob Crane on a truer, more human level. But Mom just never liked Hogan's Heroes. And for that matter, she never liked M*A*S*H or Doctor Who, but she can binge-watch NCIS and the Hallmark Channel's Christmas movies like it's nobody's business. And so it goes. We all like and dislike certain things in the world. That's what makes us unique. If we want people to respect us for what we like, then the opposite must hold true. And if we dislike a certain television show or movie, it does not necessarily mean we hate the actors appearing in it. In most instances, we just don't care for the plot. Recently, a Twitter discussion ensued about Rod Serling, the creative genius behind The Twilight Zone, and his abhorrence of Hogan's Heroes. His disgust of the series was so profound that his daughter, Anne Serling, felt compelled to include it in her highly acclaimed memoir, As I Knew Him: My Dad, Rod Serling. One program, though, that we are never allowed to watch is Hogan's Heroes, about a Nazi prisoner-of-war camp. My father has a particular abhorrence of this show and no tolerance for how it perversely twists what happened in Nazi prison camps into something remotely comical. Years later, in a speech at the Library of Congress in Washington, it is clearly still on his mind. He goes on to suggest that the success of Hogan's Heroes could lead to The Merry Men of Auschwitz, or Milton Berle in a new musical version of the Death March on Bataan, or a singular shot spectacular, The Wit and Wisdom of Adolph Hitler (pp. 133-134). There is little doubt that Rod Serling loathed Hogan's Heroes. His words are harsh, and they cut to the quick. Any fan of Hogan's Heroes (and I'm one of them!) would leap to the show's defense. Robert Clary, who is Jewish, spent two years in concentration camps and lost many of his family members to the Nazis. Yet he wasn't offended by Hogan's Heroes and enjoyed portraying his character Corporal Louis LeBeau. Other series stars who were Jewish (or of Jewish heritage) include Werner Klemperer, John Banner, Leon Askin, and Howard Caine. Cynthia Lynn and her mother and grandmother survived German-occupied Latvia. John Banner is quoted as saying Schultz is, in fact, not stupid: "Notice that he survives." And Werner Klemperer agreed to play the role of Colonel Klink only if Klink were always made out to be the fool. Bob Crane's brother almost died serving in the U.S. Navy during World War II (he was badly injured), so before Bob even considered signing the contract to play Colonel Hogan, he insisted that the producers show veterans and former POWs an early trailer to be sure they were not offended by the series. They loved it, saying without humor, they never would have made it through the war. Bob also spent a great deal of time defending the plot of Hogan's Heroes, saying it was not about making the Germans look foolish. Klink and Schultz are the buffoons, but the Nazis that visited the camp from Berlin had to be convincing as bad guys. He also defined it as a show that was a mock of authority, and according to his fan mail, people loved it when he gave it to Klink because they could relate: it was like giving it to the boss. 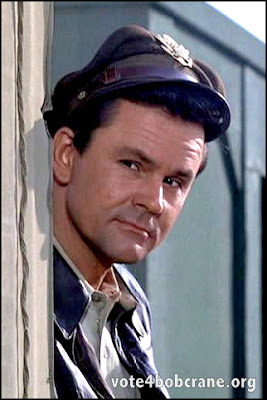 For Bob Crane: The Definitive Biography, Hogan's Heroes director Robert Butler explained to Linda Groundwater and me that the backdrop of war was a crucial element in the success of a show. It just "works." The drama is heightened because any one of the good guys could "get drilled" at any time. He said you do "moments," where the viewer is given a taste of that wartime tension before the comic relief. This is what separates silly nonsense from smart comedy. Realism. There is no way Stalag 13 could have existed in real life, but the tension of war did. And Bob Crane and his fellow cast members capture that tension regularly throughout the run of the series. Hogan's Heroes was not allowed to grow, however, in the same way that M*A*S*H eventually did. It always stayed in the same formula week after week, and part of that is the era in which it was produced. But I can talk until I'm blue in the face. There will always be those people who just don't like Hogan's Heroes. They, including my Mom and Rod Serling, can't get past the horrors of war and the atrocities caused by the Nazis. In fact, it's more than okay. To each his own. What would we talk about if we were all exactly the same and liked all the same things? All of this aside, what should not be confused is how Rod Serling felt about Bob Crane. Just because Serling hated Hogan's Heroes does not mean he hated Bob. He held absolutely no personal animosity toward Bob despite his utter dislike of Bob's star vehicle. The truth is—Rod Serling did like Bob Crane. He simply disliked a television series. It could have been anybody in the title role of Colonel Hogan. Serling would have hated the series just the same. While it's a safe bet that Serling would have preferred it if Bob had declined the role of Hogan, his hatred of Hogan's Heroes was not a personal attack on his friend and colleague. Bob Crane and Rod Serling enjoyed a long professional relationship over the years. Serling was a frequent guest on Bob's KNX radio program. Ironically, in the clip below (which aired live on December 11, 1961), they discuss those people who hate The Twilight Zone (in this case, the episode "The Shelter") and those who write compulsively to Serling to tell him about it. Serling's response is to quote the 1st Amendment, stating that there should be no abridging the freedom of speech or of the press. Regarding his hate mail, Serling says, "I'm delighted. Let them write anything they want. I don't think we're in trouble in this country if we let people say, talk, think, comment. This isn't our problem. It's when we start to abridge that." In November 1960, Bob got his first major break in television. Rod Serling hired him to play the uncredited radio announcer in The Twilight Zone episode, "Static." Bob was known as radio's Man of 1,000 Voices, and he performs all of the voices heard on the radio in this episode. The episode taped on November 20, 1960, and Bob was paid $155.00 for his voice over work "of more than five lines" in the episode. "Static" aired on March 10, 1961. During Bob's post-Hogan's Heroes days, Serling hired Bob to perform several times in his Zero Hour radio mystery series. And Bob also guest-starred on Serling's television series Night Gallery in the episode "House with Ghost" (also with co-star and friend Bernard Fox). Further, Bob's daughter, Karen Crane, grew up with Anne Serling, and the two remain friends to this day. When all is said and done, Rod Serling simply didn't like Hogan's Heroes and wanted to let people know. 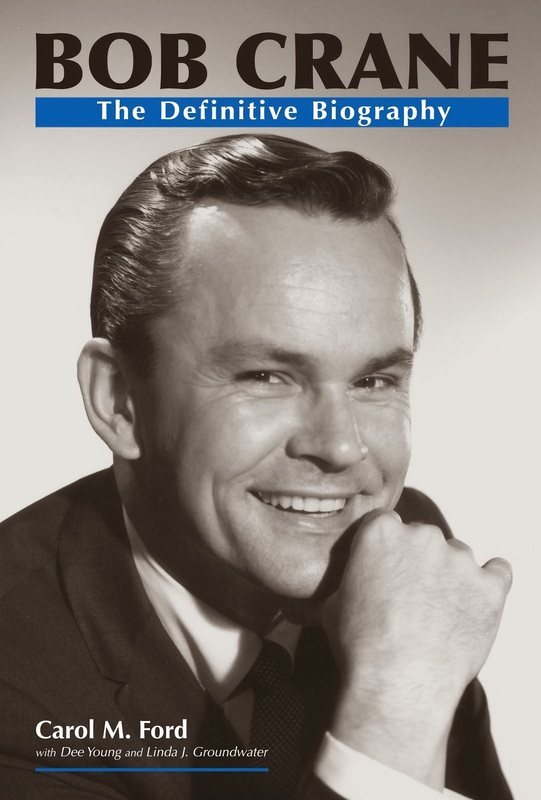 He expressed himself constructively and without personally attacking any one individual, from Bob Crane to anyone connected with the series. I see Hogan's Heroes differently, as did Bob and many others. But I respect Serling's feelings and those of others who dislike the very program that I describe as brilliant and one of my all-time favorites. It's not the the end of the world if we are different from one another and have varying opinions. That's what makes life fun! We're only in trouble if, as Serling states, we start to abridge that diversity.